Join our informative networking sessions. Come Join Our 1st GDPR Meet-up Session ! We are excited to kick-off this session & invite you all. This will be the inaugural meeting of the group, so the initial agenda will be to get an understanding of the sort of topics that members want to cover over the next few months. There will also be a Q&A session with our Data Protection & GDPR experts. We will have experienced DPOs currently working within Government, SMEs & Corprate organisations to share experience & best practices. To use GDPR as an opportunity to positively transform organisations and help people concentrate on driving sales, marketing, innovation and design forward. Don’t know what a DPIA is? Don’t despair. GDPR talks about a risk-based approach. Unsure whether you are processing personal data which is high risk? Can’t decide if you even need to carry out certain mandatory assessments? Let us untangle any confusion for you. Join Privacy Lawyer Lillian & Data Protection Specialist Radha who will show you how to conduct a DPIA, formally known as a ‘Data Protection Impact Assessment’. Using social media to drive sales, no problem! Driving sales through innovation for greater market share, no problem! Have a niche product driven to a sector for example, vulnerable people. No problem! Follow us through the journey of the DPIA and pick up a relevant new skill for your role. We will show you when it should be done, how it is done and how to be compliant, so you can concentrate on driving innovation and design forward. About: Securestorm® are leading security experts who deliver pragmatic advice, practical solutions and solve security challenges across the Digital, Cloud, Cyber and Data Protection (GDPR) domains. With a combination of experience, expertise and strategic awareness, Securestorm offers technical and strategic consultancy, managed security services and solutions to clients across both Public and Private sectors. Solutions: Securestorm are a NCSC Certified Cyber Security Consultancy with demonstrable experience and proven delivery capabilities. Advanced security solutions and services include: Nol-ij® - Continuous Risk Management, Edgescan® - Full Stack Vulnerability Management, CybSafe® - Unified Cyber Awareness Platform, and Falanx MidGARD™ - Advanced Monitoring Platform. 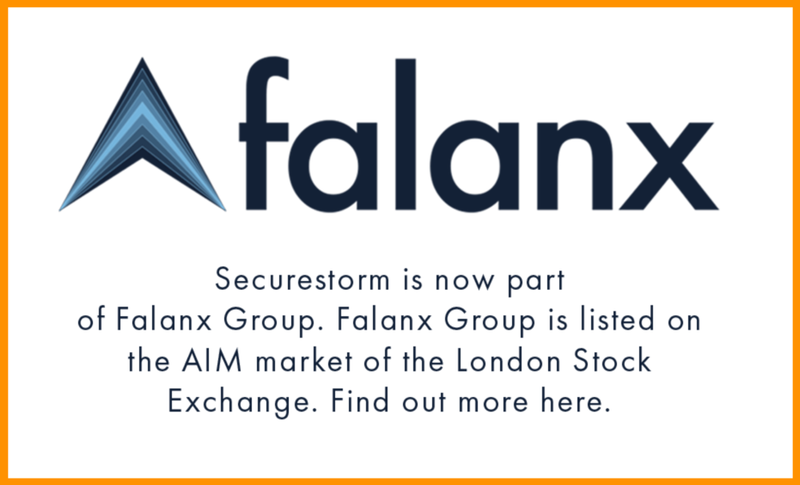 Securestorm will at the Premium Exhibitor Zone, Stand No. E502. Get in touch for information or contact us to set-up a meeting at the venue. Free to attend. Register here. Hosted by Digital Leaders 100 as part of the GDPR Week in London. Please note that places at the event are limited. Register here. We believe in sharing knowledge.